Although Chinese cultural practices tend to be quite different to Western ones, a vast majority of Chinese business people have some experience working with foreign clients and are accustomed to accommodating a variety of business practices. The numbers of Chinese professionals who have lived, studied and worked overseas before returning home is also increasing rapidly. This has had the effect of relaxing some of the strict practices that may have existed in the past, making China an increasingly open-minded place to do business. This guide provides advice on adopting and responding to traditional Chinese business practices. 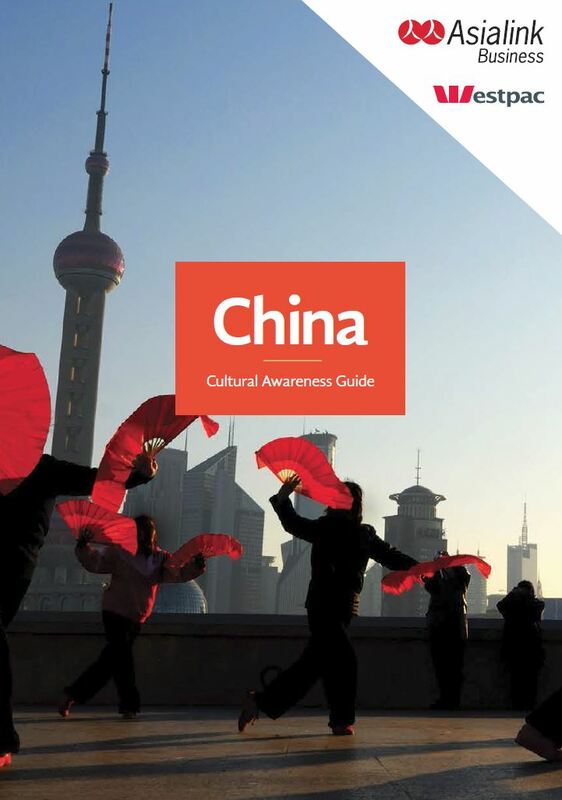 It identifies cultural nuances to be aware of when meeting with and negotiating with your Chinese counterparts and provides useful tips for positive commercial interactions in a market with limitless potential. The guide is produced by Asialink Business which provides high-calibre opportunities for Australian businesses to build the Asia capability of their executives and team members. It is supported by the Australian Government via the Australian Trade Commission (Austrade) and the Department of Industry, Innovation and Science. Posted in Asia Pacific, Digital Economy, Professional Services and tagged Business in China, China.